DJ equipment. Everything in DJ mixers, smokemachines, speakers and much more. You’ll find everything cheap here. A bit about DJ equipment, DJ mixers, loudspeakers, smoke machines etc. which you find here on the page. The start of all DJ equipment is for many people a proper DJ mixer. The mixer is the one most important and personal part of your DJ equipment. Some of the most well known brands within DJ equipment and mixers are today Pioneer, Denon, Rodec and Allen & Heath. These are all very expensive brands within the field of DJ equipment. If you want something a little bit less expensive, but still really good DJ equipment, you should look take a look at brands like FX Behringer. If you want solid DJ equipment for a really low price we want to recommend Power Dynamics for which we have our own import. The traditional DJ mixer is today often expanded to being what we call a DJ controller. A DJ controller can be connected to a computer and play music that’s on it. 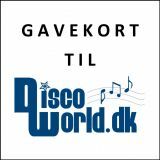 In our web shop you find well known brands such as Traktor and Numark. Among the most widely used software for DJ controllers are Serato, Virtual DJ, Rekordbox from Pioneer and of course the most widely used of them all, Traktor. 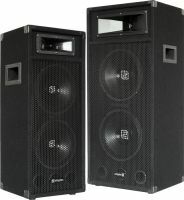 Loudspeakers are of course also a very important part of your DJ equipment. We have gathered a wide range of well known brands such as JBL, Mackie and many more, and also our own import of quality loudspeakers from Power Dynamics, where you get exceptionally good speakers for the price. A smoke machine is also an important piece in your DJ gear. But here a cheap smoke machine can give the same effect as an expensive one. So a smoke machine can be a good place for saving a little money on your DJ equipment. The smoke machine that fits in perfectly with your equipment can often be just a 700 W, that can easily give the desired effect even in large halls. Outside use however puts bigger demands on your DJ gear and especially the smoke machine must there be powerful to reach the desired effect.